Formed in the summer of 2013 by six musicians of diverse musical backgrounds, Perfect Strangers has gained a steady following in the independent music circle with their unique sound. Their music reflects an eclectic mix of genres, blending elements of rock, pop, jazz, funk and blues. 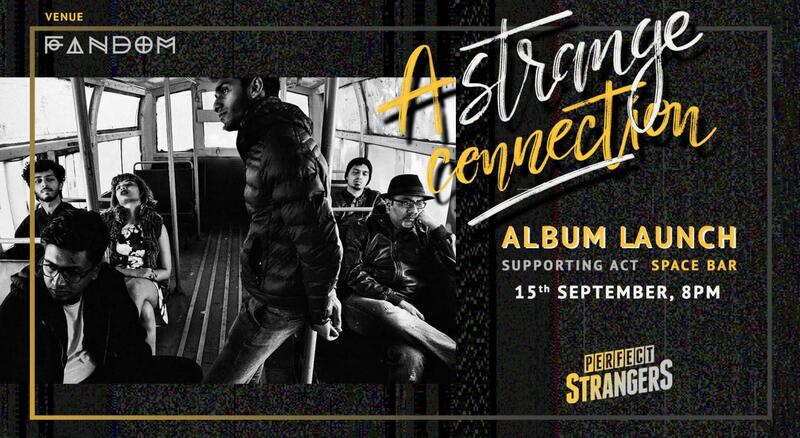 After performing live for several years to a wonderful response, the Strangers decided to take the plunge and record their debut album – ‘A Strange Connection’. PS and Fandom have had a great run together and so it's only fitting that they launch their first album at our venue on 15th September. Come over for not just a night of fantastic music but also great entertainment involving LED screen, stunning visuals, backing vocals featuring members of Christ choir, selfie booths and merchandise that you just can't resist. Pick up your early bird tickets for the Indie launch of the year. It's going to be a night to remember.